In end-of-year twinkling lights and parties, it's easy to get caught up in the festivities, feeding off their energy — or stress — and paying little mind to workout routines, food pyramids and regular bedtimes. But come Jan. 1, that perspective will change. Resolutions inevitably include a revolutionized lifestyle that expertly balances commitments and transforms the body into a well-oiled machine. The challenge comes later in trying to make the changes stick when January's resolve gives way. Forming new habits is difficult, says Cindy Bourgoin, a Spokane-based certified fitness trainer and nutrition specialist. But she and other trainers agree it's possible through setting goals, taking incremental steps and enlisting others to help you stick to your commitments. 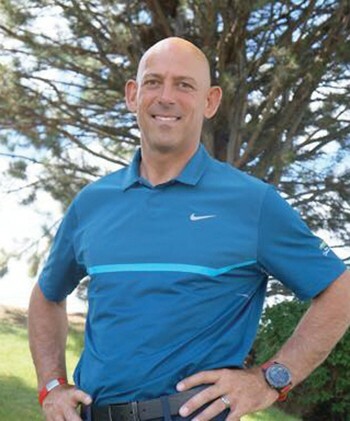 For nearly 20 years, Bourgoin has worked with clients who are trying to lose weight, train for a sport or stay active as they get older. As she nears 60, Bourgoin has transitioned her business online, helping her clients over FaceTime or Skype sessions. She begins each person's journey in the same way: Asking a set of questions geared toward identifying their starting point and uncovering their reason for seeking help. People have different reasons for wanting to get or stay fit. They may be competitive. They may have children or grandchildren they want to run around with. Whatever it is, it's important, she says, because it's what will keep a person on track. "What we value — our belief system — is what we act on," she says. The process may be long and difficult. Willpower falters. But those core values are powerful. "That's what we go back to." But what happens next? Does working out have to include mind-numbing hours on a treadmill in your basement? Luckily, the Inland Northwest is filled with inspiring ways to stay active, as well as individuals whose passion for sports and outdoor recreation has provided them with wisdom to share. Lisa Gerber's activity levels fluctuate throughout the year, hitting a peak as she gears up for a big trail-running event at the end of the summer and slowing down in the fall. But there's one constant: A Wednesday night running group. "It's pouring rain and 43 degrees out and we're all going running at 5:30. And we'll get a glass of wine afterward," she says. "We've been doing this for I don't know how many years — more than five, for sure. We have become such close friends." She says staying active is vital to her well-being. She also prioritizes a full night of sleep, keeping video screens out of her bedroom, and keeps her diet free of processed food. She loves to read books, watch movies and plan her next trip with her husband. 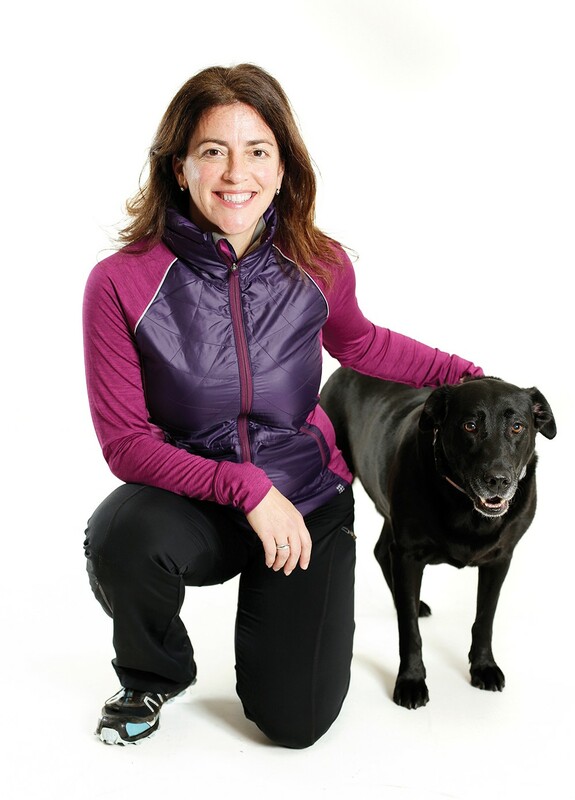 She maintains a full regimen of yoga, massage, strength training, running and skiing all while building her own business, Big Leap Creative, through which she helps entrepreneurs and business executives craft and market their stories: "I also speak nationally not only on storytelling but also on taking big leaps — overcoming hurdles that keep us from bringing ideas to life. Being fit and taking care of oneself is one part of that of course." Having her own business allows her to set her own hours, including taking her work with her when she needs to. "I work a lot of hours, but they don't have to be at a set time," she says. She schedules in fitness classes or a few minutes to go for a hike in the middle of the day, knowing it helps rejuvenate her creativity and focus. She's balanced work and recreation long enough to know they're two critical parts of a whole life. "I've always done those things and had to set them around work stuff. ... They're pretty integral to my peace of mind and happiness and groundedness." Still, Gerber admits there are days when she just doesn't want to exercise. That's where her dog Pepper comes in. "When it comes to motivation, if all else fails, Pepper needs her exercise, too, and any tendency to slack off will be quickly met with her eager nudging and tail wagging. It's pretty hard to deny her. And she sets a solid pace!" When the season is right, Jeff Yates and his snowbard are never far apart. Rather than naming a particular sport, Jeff Yates says his primary focus is "not sitting still." He proves it by puttering around his yard in Coeur d'Alene on his day off while talking about his commitment to a range of action sports. Yates, 48, started competing as a snowboarder in the 1990s. For 20 years, he oscillated between snowboarding in the winter and wakeboarding in the summer, taking advantage of sponsorships and chances to make extra money by teaching younger athletes. Sometimes he'd mountain bike. And then there were triathlons and road cycling. "Then I got into car sales. And once you get into car sales, you work. And you work and you work and you work," he says. He's worked his way into a new kind of fame as Parker Subaru's top salesman three years in a row — "Well, still two months to go for the third year, but I got it," he says. Seven years ago, he took up kiteboarding, finding a sport that didn't require the same podium-centric mindset of his early days. When he's not selling cars, he's ambling up and down the Columbia River corridor "chasing wind." He extends his season on the water as long as he can before following the seasons to any of his other pursuits. "The great thing about living in North Idaho is it's really hard to burn out when you have four seasons," he says in early November. "Your sport lasts about six months at the most. Right now, I'm out on the water as much as possible, and I can't wait to go snowboarding." His passion for these various sports is what keeps him fit. He relies on his wife to keep an eye on how he eats to make sure he doesn't overdo it on fast food. He goes to bed early each night. And he stays limber for his outings by exercising alone in his home or going to the gym, but not on a strict schedule. "There's no real method to my madness. I'm lucky that I live a pretty mellow life for as much as I do. I get a lot of rest," he says. "I'm just... enjoying life." What do you do to stay well in the winter? Snowshoe and hike in the backcountry with a snowboard on my back. Favorite exercise Biking and hiking with my pup. I also love working in the yard — it's my place to get away when I can't recreate. Jamie Redman had to dial things back a bit from her time as an Olympian in London — and that's OK. Standing 6 feet tall, Jamie Redman remembers feeling out of place on the cross country team in high school. 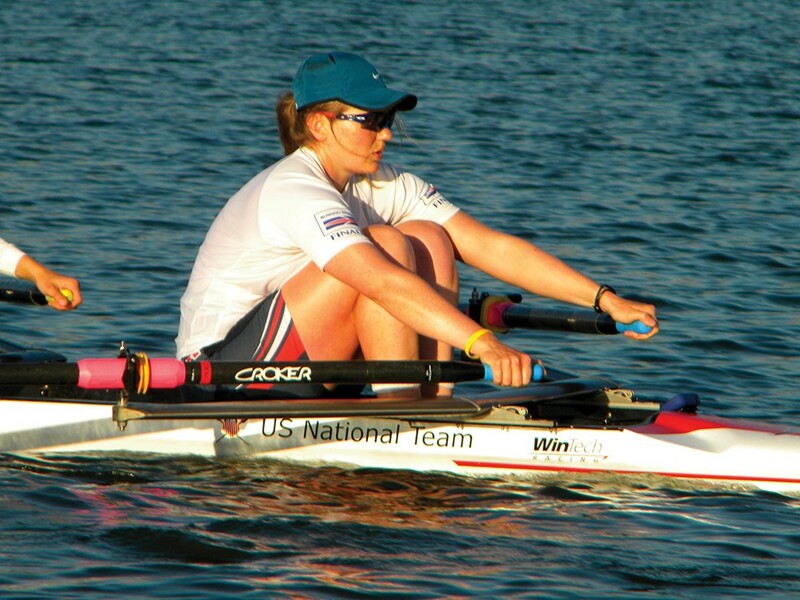 When she went to Yale at 18 and joined the rowing team, she no longer towered over the women standing around her. "I found my people," she recounts. Four years after competing on the world stage at the London Olympics, Redman is back in Spokane, trying to balance work and play like most other people. After years of 30-hour-per-week training schedules and high-stakes competition, she's learning to enjoy the lighter side of sports. 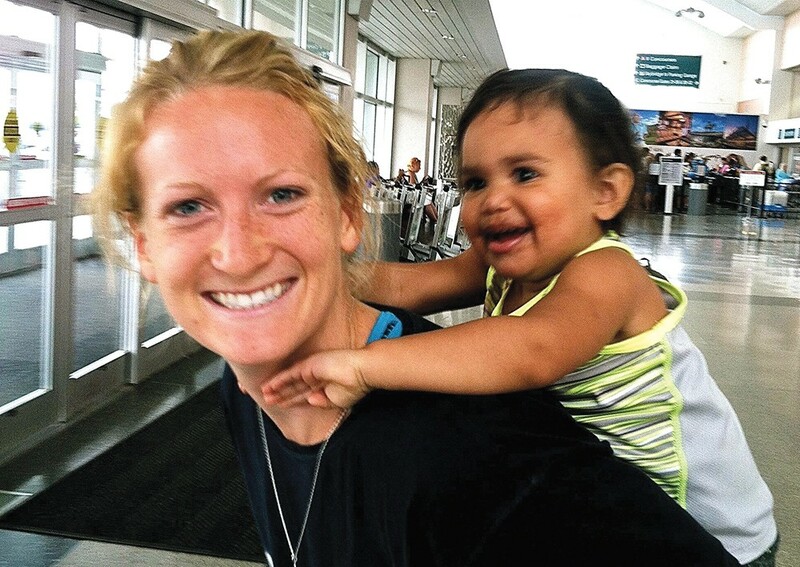 She earned a graduate degree and works as a physical therapist at U-District in Spokane. She's still competitive, but now it's in trail running and skiing instead of rowing. Redman says she's embraced the lower stakes that accompany amateur athleticism. "You can still fulfill your competitive urges," she says. "My first winter back, I signed up for a ski racing circuit. It was a way for me to test my fitness and push my boundaries. ... I think, as athletes, we're striving to challenge ourselves." 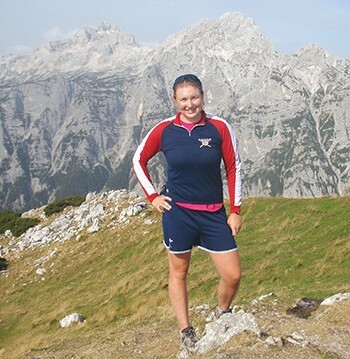 After years training for the Olympics, Redman depends on setting a plan for her fitness. She signs up for events and sets small goals, like besting her race time, to keep herself motivated. She sticks to a schedule that keeps her active five or six days a week. "I have to give myself a goal or I'll go crazy," she says. "If I don't have a plan now, I just feel like I'm drifting aimlessly." She's not immune to the struggle of sticking with the plan. She gets busy or worn out at work, until the last thing she wants to do is hit the gym or plan healthy meals for the week. But she's practical in her approach. She sets small goals, like setting aside time on a weekend to prepare food for the week or eating two green things at each meal. If she needs more sleep, she focuses on going to bed just five minutes earlier for a week, and then adding another five minutes the next week. Years of team sports have taught her the value of a supportive community filled with people who count on her to show up. "If I tell a friend I'm going to meet them," she says, "sometimes that's the only thing that gets me there." PANCAKES! And for those especially taxing workouts, I love those pink cookies from Rocket Bakery. Planks — an amazing exercise for core strength and injury prevention. And you can don't need special workout clothes to do them! 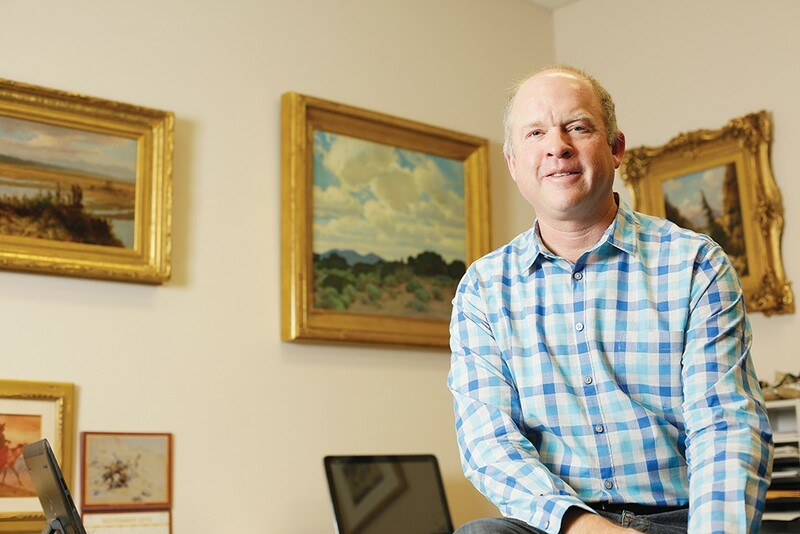 Mike Overby carries his competitive athletic spirit over to his business. For most of his life, Mike Overby stayed in shape for skiing by skiing. He competed in his youth, spent winters in Utah in his 20s and still goes on heli skiing trips with a Hayden, Idaho, production company. But as he's aged, he's realized he can't ski at the same level without extra training. Now 47, he runs, trains at the gym and pays attention to his diet, so he can keep up with the sport he lives for. Of course, he doesn't just run — a sport he took up in his 30s to rehabilitate a knee injury. He took up marathons. As his workouts move him toward a successful ski season each year, his career revolves around an annual art auction. Overby is a partner at the Coeur d'Alene Art Auction — a premier auction house that sold 300 pieces for a total of $18.5 million last year. Auctioning art is a competitive industry that requires years of building relationships with collectors. "I think that's why my skiing — my competitive background in that — it does help in business, too," he says. "I'm pretty competitive at whatever I do." Working for himself at the auction house over the past 20 years has provided the flexibility that Overby needs for annual ski trips. He pencils in a couple of gym sessions each week, because having it on the calendar ensures that he'll go. With age has come a new assessment of risk. 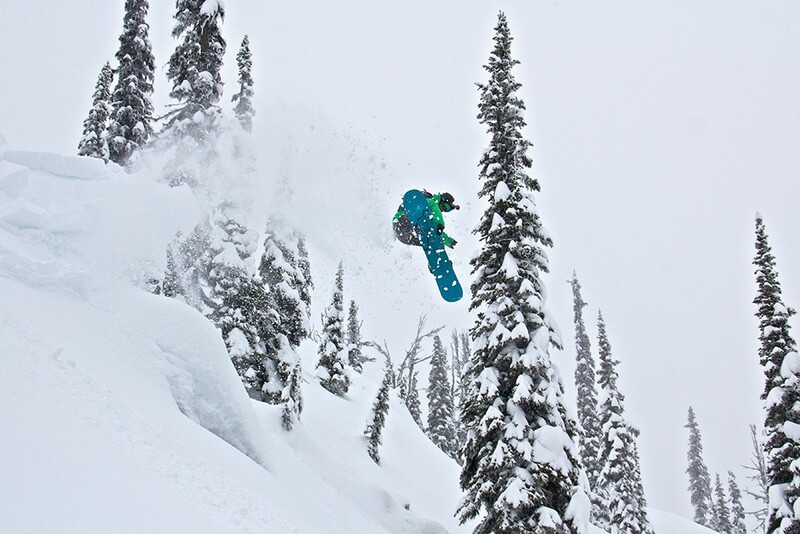 He doesn't shy away from big mountains, making regular trips to world-class skiing destinations. But he no longer opts for an 80-foot drop on the descent. "As you get older," he says, "you just have to manage everything." Spinning class, because it packs a huge leg workout into an hour. I can put a big hill on a stationary bike and run it for an hour, which is impossible to do outside on the bike; there aren't any climbs that long around here! Even with a hectic schedule, Megan Lindsay squeezes in workout time as she reaches for her goals. At an early morning fitness class, Megan Lindsay of Spokane gathered around a tire with a small group of women. Their objective: Flip the tire end-over-end up and down a field. By the end, the tire has traveled a mile. The early morning sessions keep Lindsay's athletic aspirations as the top priority. The 25-year-old soccer player has spent the past year training on her own in Spokane, working toward a spring tryout with the Seattle Reign, a professional team in the National Women's Soccer League. Thanks to classes at U-District, she's found a way to maintain the competitive team atmosphere that has kept her playing since she was 4 or 5 years old. But it's different than when she was in college, or the two years she spending playing professionally for European teams. 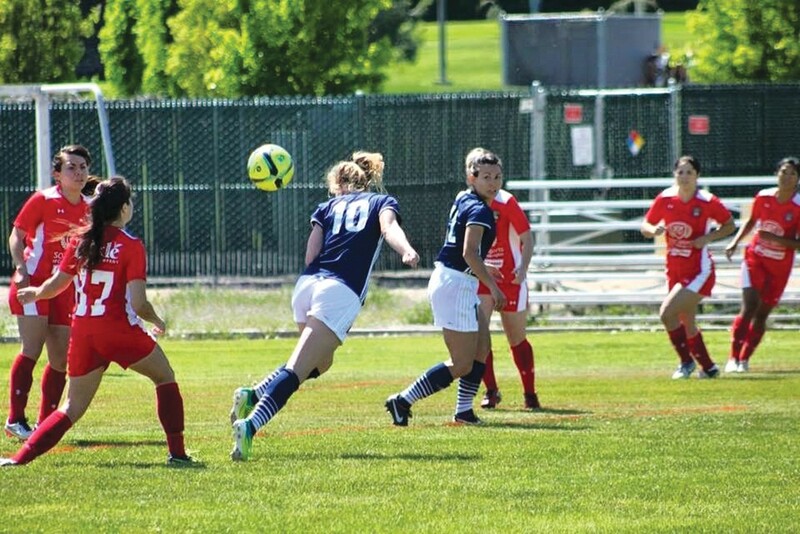 Soccer used to be her job — and she hopes it will be again — but for now she's fitting in training around family, two part-time jobs and an assistant coaching gig at her alma mater, Gonzaga Prep. "Since I've been back, it's been harder just because my time is not as flexible as it was overseas. Overseas you just had to focus on practice ... you had the whole day to do whatever you want," she says. "It's hard because I'm working two jobs, so my time is very limited as far as working out, but it's nice because classes are in the mornings when everyone else is sleeping." Lindsay says that a lifetime of school and outside commitments, like soccer, have prepared her for this balancing act, but ultimately it's her dedication to her goal that keeps her going. She wakes at 5 am to fit in a U-District athletic fitness class before she heads to work downtown at Athleta, a clothing store. She has a three-hour break after her retail shift when she can work on ball handling and technique. Then she heads to Waddell's Neighborhood Pub & Grille, where she works as a hostess. She may not have much time for Netflix, but she's happy with the opportunities she's been given that allow her to pursue her dream. "It's something I can look back on and say, 'I tried. I gave it my best shot. I was prepared and I was ready for it,'" she says. At the moment, a peanut butter and banana sandwich with Ezekiel bread. At the gym, tire flips. I love tire flips! On the pitch, I love crossing and finishing drills. I love scoring and practicing my shots. I could do these for hours! There's no handicap in tennis, and 91-year-old Larry Kraft wouldn't take on if there was. In a city of racquetball players, Larry Kraft most enjoyed handball, until one day a friend pushed him to try tennis. "I just simply got hooked," he says. 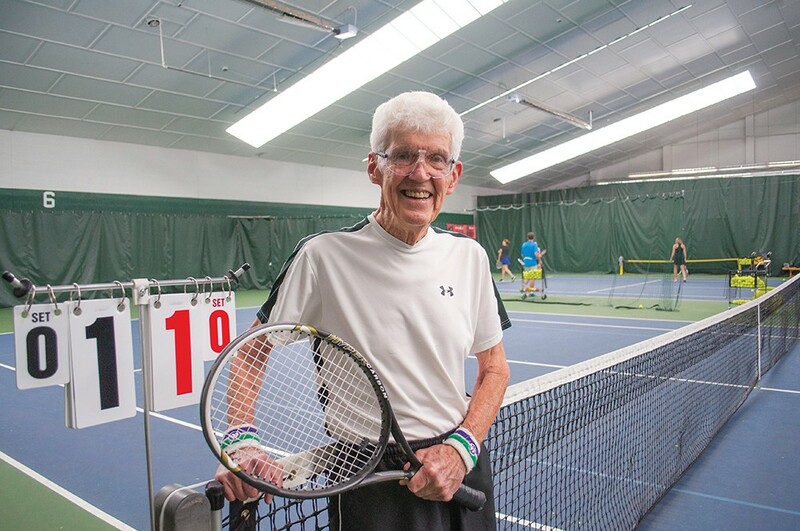 Nearly 40 years later, at age 91, he still plays several times a week at the Spokane Club. When Kraft taught communications at Eastern Washington University, he and his colleagues would play tennis on courts reserved for faculty over lunch. Since retiring in 1991, he still plays at noon, reserving a court for about an hour and a half to play doubles or singles. He's always been fairy active, though not a star, he says, failing to mention that he and a partner won the 75-to-79 age bracket of the men's tennis doubles at the Washington State Senior Games in 2002. He has days when he doesn't play up to his own standards. During a recent match, he was in a funk until the third set. "I get disgusted with myself," he says. But he's learned to accept the speed or agility he's lost over the years. His teammates can attest that he still covers the court well. "You just have to face facts. I think I face them. I fight it all the way, but we're going to lose in the end," he laughs.